I have a great predilection towards Burghers. Not only because I have many bosom cronies in that community, but because I have spent some of the happiest years of my boyhood in their homes. The finest lady that I ever knew was a Burgher. The most select gentleman of my acquaintance is a Burgher; and if some unfortunate Muslim girl fails to discover me, I could still discover both intelligence and beauty in a Burgher girl and — marry her; I can have four, can’t I? This is merely a personal outburst, because a fair face seldom fails to floor me. …. their broad sense of fair play and fair dealing make them the easiest to get on with in the world. We have been brothers and sisters in blood for we have tasted more things than salt together. They are a Western graft upon an Eastern tree, but so well have they acclimatized and endeared themselves to the native soil that we cannot think of a Ceylon without Burghers. Wellawatte would be a dull strip of sand; Bambalapitiya a barren wilderness of wind; Colpetty and Dehiwala gloomy haunts of melancholy, if there were no Burgher girls to scatter radiance on the way. With their good looks and musical voices they give a definite zest to social life, dancing with hips of rhythm and crooning melodies that are filled with moonlit dreams. The sparkle of life is in their eyes and the tremor of love is on their lips. They have captured all the romance in the world and shut it all to themselves, that no matchmakers can enter into their lives with deceitful talk of daughters and of dowries; and so they believe in marrying for love and believe also in all the sacrifices involved in the one great adventure of love. They wear their hearts on their sleeves and in the frank lustre of their eyes one can read their very souls. Faithful as friends and forgiving as enemies, they are always too good-natured to be obstinately malicious and too easy-going to bear any rancour. They are the descendants of all those Portuguese who came along with Lorenzo d’Almeida or of the Dutch who arrived with Joris Van Spilbergen. The former held the land for 134 years and the Hollanders for over 156, and although their governments have disappeared, the two nations remain with us, as Burghers. Theirs have been some of the greatest intellects of the land. The past has given us Dornhorst and Lorenz; the present has Blaze and Schneider. Maartensz and Wille are men of the age we live in; and in the field of sport as in the realm of music, Kelaart, Foenander, Arndt and Zilwa are names of high repute, while the Van Langenbergs are men of wide renown. Remains also with them the blessed light of Christianity that they brought into the island; the Roman-Dutch Law; the forts that they built and the canals they constructed. Those forts may crumble and the canals run dry but Portuguese or Dutch we have always in our midst our tried friends the Burghers. 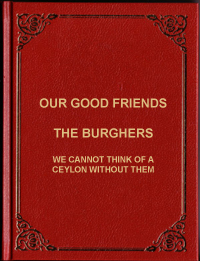 “The government officers”, explains the well-known Dutch Burgher historian of Ceylon , “were known as Company’s Servants and the non-officials as Burghers or Viyburgers (free Burghers)”. From these Burghers were appointed officers for the Burgery, an armed force composed of Tupasses, (people of mixed Portuguese descent). 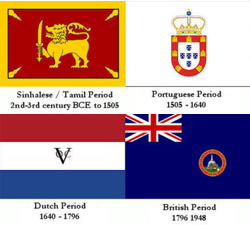 When the rule of the Company ceased in 1796 there could be no Company’s Servants any longer and all the Dutch people in Ceylon became Burghers. They are the sponsors of Western art and fashion in our midst. They are a vivacious occidental group in a sedate Eastern land. Cocktails and Fox Trots will not join the Dodo as long as there are Burghers in the country. Besides, is not music the greatest passion of their lives and beauty their common heritage? Great Race, this, the Burghers. Politics do not flutter them; they like the men of the land and the men of the land are fond of them and these happy bonds of love are often drawn closer together with a ring of beaten gold and a vow before the altar. They are certainly not an effeminate people: The heroic spirit of Constantine de Sa and the martial spirit of Azevedo still linger in the hearts of their descendants, so, in every branch and walk of life have proved themselves to be an honour to their country and community. Whether in the learned professions or in the government service or lower down in the humbler crafts which the poorer ones follow for the sake of their living, they have singularly distinguished themselves by their honesty and integrity, just as wherever they go they must have, in their own characteristic manner and according to their lot in life, their feasts and musical festivals. They fill a very big place in the social life of the country and if we Muslims have not quarrelled with them and have found them to be the pleasantest of friends, it is mainly because of their savoir faire and good breeding and of the winning ways of their men as of the smiling charm of their ladies. I totally agree with the sentiments and the thoughts about the Burgher generation in Ceylon written by an anonymous Muslim. I did not go to a Christian denomination school like St. Thomas, St. Peter’s on Galle Road, or St. Joseph ’s College, or Trinity or Kingswood College in Kandy where most Burgher boys were educated, but I came to acquaint with them after I qualified to become a doctor. I am from Kandy and Duncan White who excelled at the Olympics was a Trinity product and the people of Kandy were so proud of that achievement. My memory goes back to the university and medical school days in Colombo, when during the weekends cycling through Galle Road was an anticipated pleasure and the opportunity of chit chatting with the teenage Burgher girls wearing shortie shorts and cycling along Galle Road was a treat. It was traditionally taboo for Sinhalese, Tamil and Muslim teenagers to be seen cycling on Galle Road or anywhere, in shorts. Today, to my surprise I see a lot of local girls cycling in the Negombo area on the main bustling roads, and Negombo men don’t seem to bother about them. The young Burgher boys and girls were a happy lot, always giggling, laughing and having fun most of the time which was not seen among other nationalities who behaved in their more orthodox behaviour. These teenagers gave a lot of colour and joy to the suburbs around Galle Road. It was a great asset for the country to see such a multi ethnic community enjoying life during the post-colonial period. Bambalapitiya was named ‘Bambalawatte’ where most of the Burgher families lived. Bambalapitiya flats were totally occupied by the Burghers then. Some called the area “Bamba”. I still remember Ms. Maureen Hingert, ‘Miss Ceylon,’ who went on to become the second runner-up at the Ms. Universe contest in 1955 lived with her parents, down Lorensz Road running parallel to Dickman’s Road close to the Savoy Cinema. Situated between Lorensz Road and Davidson Road was the New Wellington Sports Club. The members were mainly Burghers of Bambalawatte extending to Wellawatte. The President of this Club was Richard “Aiyar” Perera who was the ‘chandiya’ (thug) of the whole of Bambalapitiya, Wellawatte region right up to Vihara Lane in Wellawatte. He had a huge eagle with wings spread tattooed on his back. Kinross Swimming Club was very popular and it was by the sea in the vicinity of Savoy and the access road was Kinross Avenue, and the name of the street remains the same even today. After the Burghers migrated to Australia in the late sixties and after, the popularity of the club declined. We used to go for dances at the Kinross Club in the old days. We had many Dutch Burghers in the Police Force excelling themselves in sports and in their official duties. I remember the late Jack Van Sanden, a police officer who commenced his career in the Ceylon Police. He started as a sub inspector and rose to the rank of Deputy Inspector General of Police. He arrested “Yakadaya” who was one of the most notorious criminals of the day. 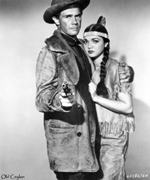 Yakadaya kept his pistol on Jack’s forehead and pulled the trigger. Fortunately, there were no bullets in the weapon and Jack survived and Yakadaya was handcuffed. During the period of 1957/58, I was Mahara Prison doctor, and I got married whilst working there. Yakadaya was my favourite prisoner patient. The day I went back to work after getting married, Yakadaya gave me a bouquet of grass, and he said, “Hamuduruwane mechcharai apata dhenna puluwan” (This is all what we can give). Van Sanden was an old boy of Kingswood College , Kandy and he captained the cricket team. I cannot think of any Burgher who did not participate and excel in sports, including cricket. The Claessen boys ring a bell who played cricket for Wesley. Then there was Walter May the famous hurdler, later settled down in Perth, Australia . They did not go for football (soccer) as it was considered a “rowdy game” played by the “not so good” school boys and market jonnies. During that period they referred to good schools as three in number — Royal, St. Thomas’ and Trinity. Then came the Catholic schools like St. Joseph’s, Wesley, St. Peters and so on. Buddhist schools were considered as ‘not so good schools’ though the boys excelled in studies. Then there were the famous Burgher policemen like V.T. Dickman, Eddie Buuitjens and many others I faintly remember. Eddie Buuitjens was the first Ceylon boy to represent All Ceylon at cricket. The first Ceylonese who was appointed as Asst. Superintendent of Police was a Burgher, de La Harpe. He was famous for raiding a counterfeit money den and was rewarded handsomely with a reward of Rs 5. Then there was inspector Toussaint who was in charge of the Colombo Harbour. George Von Hagt, a special constable was shot dead by the infamous bandit “Saradiel”. Another policeman who excelled in sports was Inspector Edward Gray. He was an excellent bowler, and also a famous boxer. I think he became a champion at the Commonwealth Games Boxing Championship. He retired prematurely after he fell off a horse whilst on duty. He got himself condemned in 1956 when I was working in the Orthopaedic Department at the General Hospital. There were famous doctors like Surgeon Bartholomeuz, Austin, and Physician Blaze, recognised for their skills. They were true gentlemen, honest and most ethical. Among the famous lawyers was Justice Sansoni, Gratian, and so on. They were men with stature and quite famous in those days. Maureen Hingert. Ms Ceylon. Runner Up Ms Universe. Hollywood Film Star.